Is the new way always better? For PostgreSQL and SQL Server, we'll demonstrate more than one approach. Just because we demonstrate newer approaches doesn't make the older approaches obsolete or necessarily worse. Don't feel the need to use something new because it's new. Think of the newer approaches as just extra options that may or may not be faster for your use-case. Below is the script to setup our test tables. This script will work fine for all databases we will discuss here. 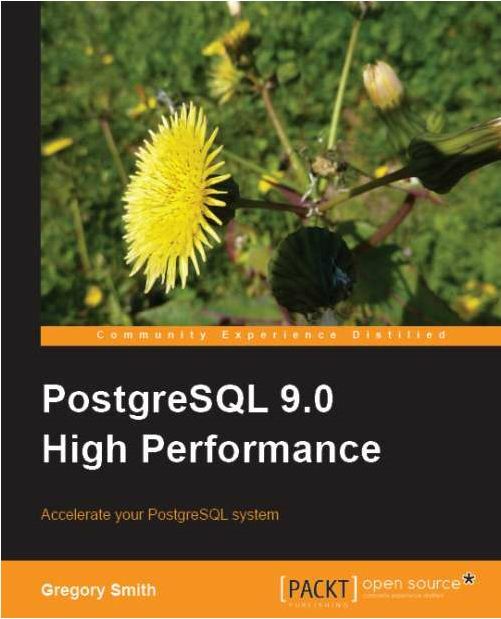 In PostgreSQL 9.0, PostgreSQL introduced the STRING_AGG function and also the ORDER BY predicate in any aggregate function, which made this task much easier and probably much more efficient as well. Note that in Oracle 11G Release 2, Oracle introduced an aggregate function call LISTAGG which is similar. Details of using LISTAGG and Oracle LISTAGG, the older WM_CONCAT and other string aggregation approaches for Oracle are described in Oracle String Aggregation Techniques. PostgreSQL 8.4 introduced the ANSI-SQL array_agg function which IBM DB2 also has. Not sure about other databases. This provided another option for doing a string aggregation. Without the ORDER BY feature for aggregates introduced in PostgreSQL 9.0, this option is less powerful. Here is the PostgreSQL 8.4+ equivalent of a third option that people mentioned is available for SQL Server - the Recursive Window CTE. One thing that PostgreSQL has always had going for it that both MySQL and SQL Server still lack is phenomenal array support. Arrays are first class citizens in PostgreSQL witha rich set of functions to complement them. They are extremely versatile and make creating things like aggregate functions pretty trivial. For example in MySQL you'd have to become a C programmer to build an aggregate function which is generally out of the reach of most users. In SQL Server you'd have to learn .NET (VB or C#) and write a non-trivial amount of code which is much more accessible than C but not wihtout its issues. In PostgreSQL all you need to know is SQL and write a couple of lines of code to build your own custom aggregate functions. That is just SUPER COOL. SQL Server has a fairly cryptic way of doing this which one would consider a HACK and repurpose of functionality that was designed for something else. On the plus side, we do find its CROSS APPLY and OUTER APPLY functionality which I crave a lot when working with MySQL and a little with PostgreSQL (PostgreSQL has similar but not quite as elegant equivalents). Not so much for this particular use case. -- We haven't done benchmarks to see which approach is faster. Evidentally there is a third way of doing this in SQL Server 2005 that many purists were up in arms about that we neglected to mention. PostgreSQL forces you to put in a RECURSIVE word if any of the subexpressions is RECURSIVE and SQL SERVER would reject that word and consider it invalid. SQL Server won't allow text + varchar concatenation and if your varchar is unlimited, you must call it varchar(MAX). PostgreSQL assumes if no length is specified,then its limitless so varchar, text mean much the same in PostgreSQL and varchar(MAX) is equivalent to PostgreSQL varchar. As far as speed between the two variants, people did some benchmarks on reddit, but there wasn't a consensus on a clear winner. Database purists like to make fun of MySQL, but in some ways it's way ahead of others. Its focus has always been to make the common easy and as a result was more advanced than some other databases. Some might say it catered too much to the whims of its users at the expense of doing things the right way. That's another story. This catering is no doubt a large reason for MySQL's popularity. There is something to be said about listening to the needs of users, which I think most other databases dismiss. For example MySQL was the first of these 3 databases to have a LIMIT OFFSET feature, which PostgreSQL later copied, and SQL Server 2010 (Denali) is finally introducing in the form of OFFSET FETCH NEXT. It was also the first to have the MULTI ROW VALUE insert option which was later adopted by PostgreSQL 8.2 and SQL Server 2008 and I think Oracle is yet to adopt. Heck Oracle still has that arcane FROM DUAL stupid requirement to my knowledge. How Oracle users put up with that nonsense I don't know. In addition it has always had this aggregate function for as far back as MySQL 3.23 days GROUP_CONCAT. It's really convenient to be able to use this on any version of MySQL. Below is how you would use it. In R you define a function much like you do data. Functions are stored in variables. In fact PL/R functions are stored as anonymous R functions. In our last examples, we had a snippet of code that would output the contents of the screen. In this next example, we'll rewrite our function to define this snippet as a plr_module and then reuse this in our pl/r function. The plr_module model is described in Loading R Modules at Startup. PL/R modules are always installed on the startup of the server, and are named R functions. If you install new modules or change existing, you can force a reload by calling the reload_plr_modules() PL/R function. In this next example, we'll define a module function called print_variable that we will then reuse in our functions. The modseq will defin the order in which plr_modules are registered. So we don't have to worry about back slashing our quotes etc in the text. Then we register our new R function as a module in the plr_modules table. To force a registration of our new function. Now we are able to use this new function in our PL/R functions. The below function is exactly like the other tally_report we created except we are also outputting the summary and have encapsulated all our capture output logic in a reusuable R function. Which tells us there are 784 tests for ST_ClosestPoint executed (all the ones with 28 F means no test involving that type returns an answer). This is one of those books I wish I had when training some of our customers or had early on. 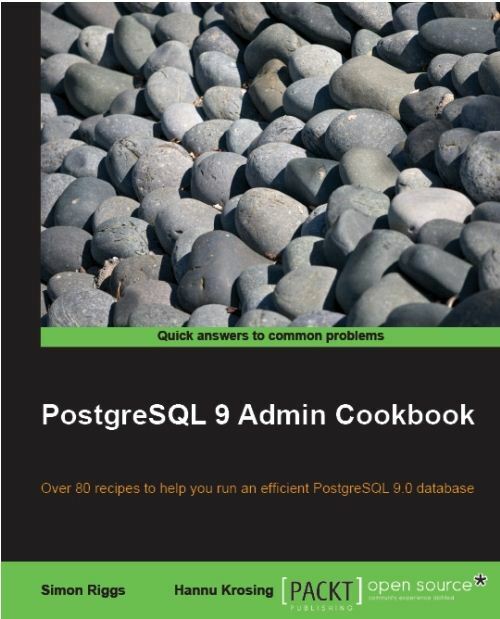 A lot of the questions - we are commonly asked or have stumbled on - like how to troubleshoot bad queries, how to tell what are my biggest tables, how to deal with data corruption etc, are all succinctly covered in this book. Chapter 1: First steps This is mostly a newbie chapter, that introduces you to PostgreSQL, guides you thru connecting to the database using commandline and PgAdmin. Some other examples of commonly used GUIs. Configuring access control, troubleshooting failed connections. It provides tips both for the Linux as well as the Windows user. Chapter 2: Exploring the database starts to get into what I would call intermediate territory. It covers tasks such as determining where your database files are, how to determine disk space utilization for both whole database and individual tables. Getting quick estimate of number of rows for large tables where doing a count would be really slow. Using psql and the various system tables to determine object dependency. Chapter 3: Configuration A good chapter not just for PostgreSQL users but I would say any database designer. I think this chapter holds useful nuggets for all levels of users. It covers basic considerations when planning your database and based on the needs how to configure the key PostgreSQL configuration settings by server, user, and database. It had tricks like how to determine which parameters are at non-default settings. I am ashamed to admit, that I learned a lot from this chapter. Stuff I really should have known before. My only lame excuse is that PostgeSQL has always worked so well, that I never had a need to delve into these nuances. Chapter 4: Server Control - A very intermediate chapter slowly getting into more nuances. It covers connection pooling, viciously and not so viciously kicking users off, gracefully shutting down, using schemas to partition data. Again a lot of stuff here I didn't know so will have to reread when I find myself in these situations. Chapter 5: Tables & Data - This chapter covers general good practices for namings tables and other objects, setting up keys, finding duplicate data, deleting duplicate data, . My favorite pasttime, techniques to generate test data. It concludes with loading data from flat files and csv files. Fundamentals of using pgloader utility created by Dmitri Fountaine. Chapter 6: Security Covers new GRANT management in PostgreSQL 9.0, setting up users, auditing DDL and data changes, integrating with LDAP, using SSL, ensuring secure passwords, and encrypting data with pgcrypto. Chapter 7: Database Administration - starts getting a bit into creating functions using plpgsql, plproxy. Running SQL scripts in parallel. Fundamentals of PostgreSQL DDL such as creating schemas, tablespaces and setting new configuration options for those introduced in 9.0. Moving objects to different schemas and tablespaces. Chapter 8: Monitoring and Diagnosis - covers how to catch blocking queries, query monitoring. Using pgFouine for log processing and alerting you of issues. The thing I most enjoyed about this chapter were the cut and paste queries utilizing various PostgreSQL system tables to track down issues. Chapter 9: Regular Maintenance - this topic is normally a very dry one,at least for me. It covers fundamentals you should know, like backup,recovery testing, reclaiming space, transaction wrap around (less of an issue with newer versions of PostgreSQL), but that puts a narcoleptic like me into a comatose state. I awoke when reading the topic of Carefully removing unwanted indexes. It shows you how to turn indexes off without removing them so you can see if they are really useful. I've really got to try this one out. Chapter 10: Performance & Concurrency - My favorite chapter. Can't get enough of this stuff. Just read it. You'll learn a lot regardless your walk of life. Chapter 11: Backup & Recovery - Covers using PostgreSQL specific tools such as pg_dump and other tools such as rman and rsynch for doing differential backups. Chapter 12: Replication and Upgrades - Covers in a nutshell everything you could ever dream of knowing (well all my limited imagination can dream of) about replication and using replication for high availability and how to do upgrades. It covers replication terminology, the new 9.0 streaming replication, hot standby as well as longtime favorites like Londiste, Slony-2.0 and load balancing with pgpool, and using pg_upgrade.